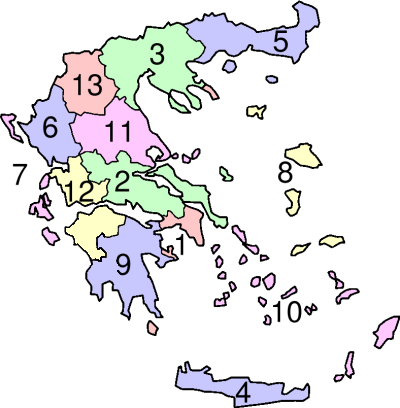 Greece consists of 13 regions and is subdivided into a further 74 regional units. Each region is historically unique and has its own attributes that would make for the perfect destination wedding. The home of Athens, Attica is a hub of Greek antiquity and some of the oldest sites in the world. Like most regions of Greece, Attican beaches are an attractive reason to wed here. What sets Attica apart from other regions is its sheer amount of ancient ruins and sites. Those looking to wed in Attica have an endless number of locations to choose from. Vouliagmeni is a popular destination in Attica for tying the knot. A few kilometers south of Athens, Vouliagmeni's refreshing seaside is a quick escape from the chaotic city. Located in Vouliagmeni is Divani Appolon Palace & Thalasso, a luxury resort that possesses seven venues around Athens for making your destination wedding in Greece spectacular. Visit http://www.divanis.com/apollon/weddings-en.html for more information. Central Greece is best known for Delphi, including such prized sites as the Temple of Apollo and the ancient theatre at Delphi. Destination weddings in Central Greece aren't as common as the islands, however it's still possible. Civil ceremonies are usually performed through the municipality and the website could be found here http://www.delphi.gr/Default.aspx? The ancient city of Thebes and Boeotia are two of the more populated locations in Central Greece. The Byzantine influenced Hosios Loukas Monestary is considered a must in Boeotia, about 100 km from Athens. Most of Central Macedonia's population is clustered in Thessaloniki. This region of Northern Greece is an international hub of culture. Thessaloniki is consistently rated as one of the world's top party cities. http://www.enjoythessaloniki.com/to-do/nightlife/ is a good website for finding a local outing while in Thessaloniki. Despite its notoriety for contemporary life, Thessaloniki is sprawling with ancient upbringings. The Rotunda of St. George can't be missed! Aside from the city, this region of Northern Greece has a sparsely populated yet gorgeous countryside. Also Central Macedonia's beaches are relatively underrated. Trikorfo Beach offers beach-side terraces and accommodation with an olive yard surrounding in Central Macedonia. Visit http://www.trikorfobeach.gr/ for their website. At the north-eastern outskirts of Northern Greece, East Macedonia and Thrace have strong eastern roots and a prominent Muslim scene. To the south of the mainland is the island of Thasos, which is a beautiful destination wedding spot. Common excursions in Thasos are The Old Monestary of Thasos and its abundant turquoise beaches. For a more historical approach to your destination wedding in East Macedonia and Thrace, visit Kavala. Directly north of Thasos, Kavala houses Northern Greece's oldest ruins and archaeological sites at such locations as Sito Archeologico di Filippi. Mountanous terrain and alpine climate is characteristic of the Epirus region. Epirius is renowned for its feta cheese and baklava. Although its cities have rather low populations, ancient theatres and fortresses tint Epirus with antiquity. The city of Ioannina makes Epirus a fantastic destination wedding region with Byzantine influence and lovely streets. Hotel du Lac offers wedding receptions in Ioanniana, with 1500 year old Ioanniana Castle and Perama Cave excursions as added regional bonuses. Visit http://www.hoteldulac.gr/en/banquets-events-ioannina/wedding.aspx for their website. The Ionian Islands have that small island appeal. Don't let their size fool you, plenty of venues and events are making the Ionian Islands a hotspot for destination weddings. The island of Sami offers Bavarian horse riding. Imagine how romantic it would be to ride with your loved one on the way to your ceremony, or for a photo opportunity? Below East Macedonia and nearer to Turkey than Greece lay the North Aegean islands. The North Aegean islands is an exciting region to visit. Island hopping is a realistic idea, with constant ferry service running across the islands at affordable rates. Erytha Hotel & Resort offers wedding venues on the island of Chios. Also one of the North Aegean's top rated restaurants is located on the island of Samos. Galini Limnionas serves traditional wood-burnt oven Greek cuisine. See their website and menu at http://www.galini-limnionas.com/restaurant.html. They are known for being a crowd-friendly venue, which might be a fantastic idea for your guests. Ski enthusiasts can experience skiing in Southern Greece during the winter at Mount Mainalo in Arcadia. Located in the Grecotel Olympia Riviera, the Mandola Rosa features accommodating suites and villas with wedding services that suite the wedding of your interest. Visit http://www.mandolarosa.com/EN/weddings.html for more information. The South Aegean islands are quintessentially Greek, with white villa studded cliffs contrasting against blue shores. Mykonos is one such example. Mykonos offers a destination wedding filled with romantic surroundings and relaxation. This incredible island of the South Aegean also has an active nightlife, with plenty of bars and lounges to choose from. The home of Mt. Olympus, in Thessaly you can expect spectacular lakes, shores, and exhilarating landscapes. Agias Varvaras Roussanou monastery is a must see, with its foundation overlooking Metorea almost unbelievably. In this region you will be in awe at the rapid change of geography, from mountains to beaches and lakes. Horto is a charming village in Thessaly that's worth a visit. The cuisine of the region may even tempt you to move here, with local favorites of lamb skewers, manestra pasta, fresh olives and fine Greek wines. How exciting to be at the site of the original Olympic Games. West Greece offers plenty of historical sightings around the Olympia area, with beaches on the coast and snowy mountains during the winter. This region's Cog Railway is thought to be one of Europe's best rail trips. Relive Ancient Greece through the Archaeological Museum at Ancient Olympia. Patras is a great choice to have your destination wedding in. Patras is at the doorsteps of the Panachaikon mountains while having access to the sea. Its urban setting is perfect for outings to see some of the cities frequent carnivals and landmarks. Porto Rio Hotel offers wedding services in Patras. 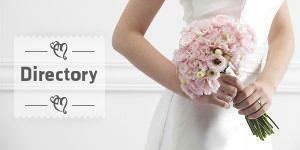 Visit http://www.portoriohotel.gr/wedding for more information. Do you long for a rural escape for your Greek destination wedding? West Macedonia has a low population density with a huge mountainous region, making it ideal for that escape from the city. Many villages are good options in West Macedonia for that perfect getaway. If you still desire the security of a city in West Macedonia, Limneon Resort & Spa offers wedding reception in Kastoria, Greece. See their website at http://www.limneon.com/default.asp?sid=7503&LangId=311 for more information. Kastoria features Ottoman-style architecture and historic Byzantine churches. Find out more about getting married in Greece in our Greek Wedding Guide or browse our Greek Wedding Directory to start planning your dream wedding.